"Tabula Castelli ad Sandflitam, qua simul inundati agri, alluviones, foßae, alvei, quae Bergas ad Zomam et Antverpiam interjacent, annotantur". Orig. copper-engraving. Published in Amsterdam by Janssonius van Waesbergen, M. Pitt and S. Swart, 1680. Orig. old colouring. With ornamental title-cartouche and explanatory notes ("Explicatio Notarum et Verborum"). 37:49 cm (14 3/4 x 19 1/4 inch.). Koeman I, map 3120:1.2, ed. 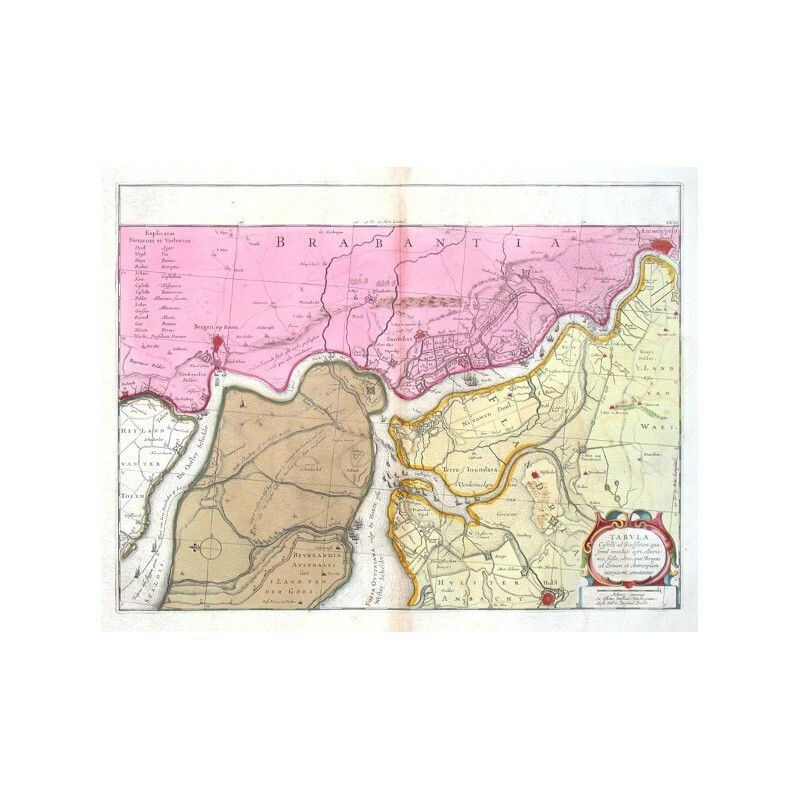 1:451 (1680-83, English Atlas). 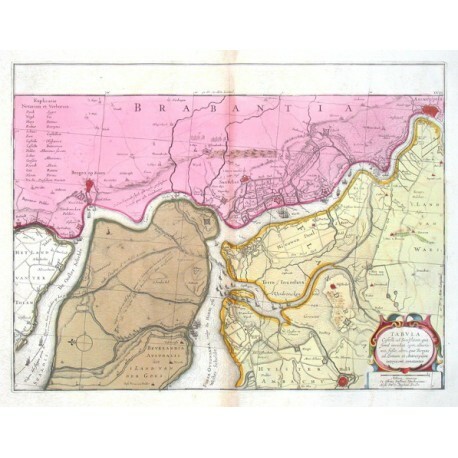 - A map of the environs of the Castle of Zandvliet, Antwerp together with the flood lands, polders, canals and streambeds that lie between Bergen op Zoom and Antwerp. Oriented to the East. - A minor oxidated break (ca. 5 cm) in green borderline underlaid.